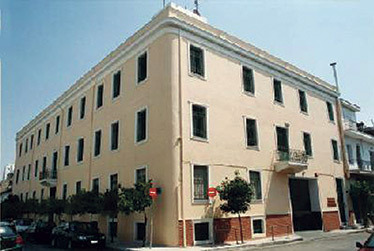 Environmental Protection Engineering S.A. (EPE) was established in Piraeus in 1977, and offers a complete range of environmental protections services and products, including emergency response services for oil and chemical spills. EPE has successfully responded to more than two thousand pollution incidents on the last four decades with state-of-the-art equipment and highly trained and experienced personnel. Moreover, EPE provides contingency and preparedness services to all types of onshore and offshore facilities including oil terminals, production platforms, refineries, shipyards, oil recycling plant, pipelines, power stations, light and heavy industries, ports, harbours and marinas, always in full accordance with all relevant legislation and industry standards. EPE has earned an excellent reputation among the maritime sector, the public authorities and large private companies in the Mediterranean, for providing high quality professional services. By continuously investing in research, EPE is a leading company in designing and production of various types of marine equipment and systems such as bilge oil water separators, sewage treatment plants, potable water related systems, sacrificial anodes, antifouling and cathodic protection systems. EPE has also established trustful collaborations as a sale agent for sprinkler, sewage and stainless steel piping systems as well as other electronic equipment for ships. Since 2007 and after participating in international tenders, EPE maintains a contract with the European Maritime Safety Agency (EMSA), providing the readiness and availability of antipollution Tanker Ship «AKTEA OSRV» based in Greece. The vessel can be mobilized to face major pollution disasters following EMSA’s instructions.